For the record, Keegan Federal doesn't always wear a white hat. Nevertheless, it certainly seems ubiquitous -- enough so to have become a de facto personal trademark, making the former judge and veteran trial attorney a familiar and immediately recognizable personality in television news reports about his many cases and many causes. The symbolism -- "good guy in the white hat" -- is unintentional, he says, but most who know Federal will tell you it's not off the mark. His doors certainly aren't closed to clients with deep pockets, but friends joke that his doors seem always to be open to those who really can't afford the services of a top-rated attorney. Often characterized as a champion of those whose voices (for one reason or another) might otherwise not be heard -- or, at least, not heard quite as loudly as his -- Federal may be a "big name" lawyer, but he always makes time for the "little guy." Federal's reputation is that of a tough, effective litigator, driven by conscience, a keen sense of right and wrong, and the deeply held belief that "justice for all" is not merely a platitude. An unapologetic liberal and outspoken patriot, he came by his views on American values "the old fashioned way." A graduate of Emory Law school at age 22, Keegan Federal was admitted to the Bar of Georgia on June 14, 1966. Ironically, on the very same date four years later, he would be awarded the Bronze Star for "meritorious achievement in ground operations against hostile forces" in Vietnam. He'd been called to active duty and commissioned a lieutenant in the Army after just two years of law practice with the firm of Shoob, McLain and Jesse (where his mentors included Marvin Shoob, now a longtime judge in U.S. District Court). Initially, Federal was assigned to Fort Gordon, near Augusta, but the following year he was deployed to Vietnam as a Signal Corps officer, prosecuting and defending court-martial cases in which soldiers were charged with crimes ranging from failing to salute an officer to murder. 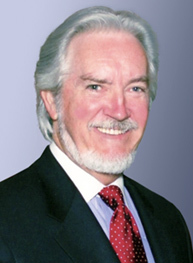 Returning to civilian life, and to Georgia, in 1970, he was offered a position as Associate U.S. Attorney, which called for him to head up federal prosecutions in the Savannah office -- but instead he decided to return to private practice and joined the prestigious firm of Nall, Miller and Cadenhead. Soon, in 1972, he and longtime friend Fred Orr opened their own firm. Headquartered in Decatur, this dynamic duo quickly made names for themselves as crusaders against public misconduct -- representing various individual clients and small-to-medium businesses against the existing power structure in DeKalb County, and preventing local elected officials from awarding lucrative contracts to political cronies. Around the same time, Federal made a more lasting contribution -- literally -- to good government. He met and became good friends with tavern owner Manuel Maloof, encouraged him to seek office, and made the first donation to his campaign. Maloof was elected to the county commission in 1974 and in a remarkable political career that spanned nearly two decades, became chairman... CEO... and legend. Inspired by Maloof's first victory, Keegan Federal decided it was time to make a run of his own. Perhaps best known as a top plaintiff's attorney, particularly in catastrophic injury cases, he's become increasingly disturbed by the treatment of so-called "illegal aliens" and makes himself accessible to members of the Hispanic community in Atlanta. Recently, he emerged on the front lines of the fight against Georgia's onerous anti-immigration law, House Bill 87, joining forces with the ACLU and drafting much of the organization's legal brief in a lawsuit now set to be heard by the state Court of Appeals. On June 14, 1970, Keegan Federal was awarded the Bronze Star for his service during the Vietnam War. Speaking outside the Capitol at a press conference, Keegan Federal joined with the ACLU in decrying anti-immigration legislation.